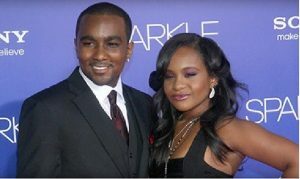 Bobbi Kristina Brown ‘Given Toxic Cocktail’ By Nick Gordon? Bobbi Kristina Brown’s former boyfriend is being accused of giving her a “toxic cocktail” before her death. In a case filed by one of her estate’s administrators, it’s also claimed Nick Gordon put her face down in a bath. The only child of singer Whitney Houston and singer Bobby Brown, she died on 26 July after being found unconscious at home in January. A spokeswoman for Gordon’s defence lawyer, Jose Baez, said the case was “slanderous and meritless”. A statement emailed to USA Today said: “Nick has been heartbroken and destroyed over the loss of his love and it’s shameful that such baseless allegations have been presented publicly. The amended complaint is a civil action filed by Bobbi Kristina Brown’s court-appointed conservator, Bedelia Hargrove. No criminal charges have been filed against Nick Gordon. The new court papers were submitted on Friday after an initial lawsuit was filed on 24 June in Fulton County Superior Court in Georgia. The latest part of the complaint accuses Nick Gordon of assault, battery, intentional infliction of emotional distress and stealing more than $11,000 (£7,000) from her after she went into a medically-induced coma. It also accuses him of wrongful death and demands damages of at least $10m (£6.4m) on each charge. The document describes an argument that took place between Brown and Gordon after he came home in the early hours of 31 January after a night out. The court papers say Gordon had been “out all night on a cocaine and drinking binge” and that he came home and accused Brown of cheating on him during a “loud argument” that lasted about 30 minutes. According to the complaint, Gordon then “gave Bobbi Kristina a toxic cocktail rendering her unconscious and then put her face down in a tub of cold water causing her to suffer brain damage”. A guest in the house found Brown in the bathtub, and according to the lawsuit she was “unresponsive, unconscious with a swollen mouth and a tooth hanging loosely from her mouth”. Gordon is then accused of coming in and saying “clean up, clean up” to the guests, who tried to give her mouth-to-mouth resuscitation. 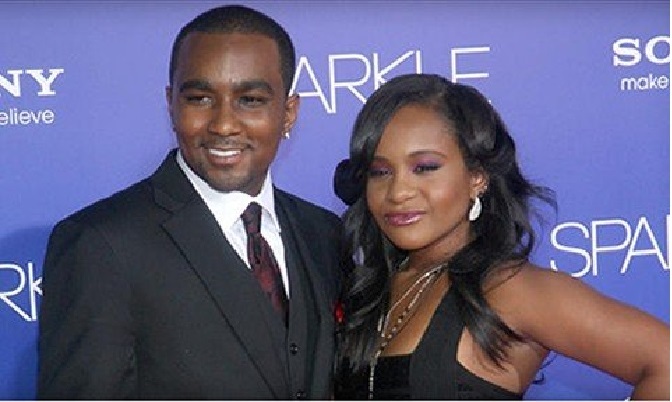 The court papers say “after almost six months of suffering, Bobbi Kristina died from” Nick Gordon’s actions. Bobbi Kristina’s mother Whitney Houston was found face down in a bath in a Los Angeles hotel on 11 February, 2012, just before the Grammy Music Awards. Her parents separated in 2006 and divorced in 2007, with Houston awarded custody of their daughter after claims of abuse and drug use in the relationship.